Middle-distance runners Wenlie Maulas and Nikki Roque overcame the challenges of a 21K route and outraced other division contenders Sunday at the 37th National MILO Marathon in Angeles City. Today marks Roque’s first and Maulas’ second entry to the country’s biggest and most prestigious footrace, where they both took home the P 10,000 top purse for their victory. A total of 7,367 students, athletes, and running enthusiasts joined the last qualifying race of the season, where 35 runners earned a slot to the finale on December 8 at the SM Mall of Asia grounds in Pasay City. They will compete with 500 of the country’s finest runners for the championship title and for an all-expenses paid trip to the 2014 Paris Marathon courtesy of MILO. As a seasoned mid-distance runner, Maulas used his speed and agility to his advantage and crossed the finish line at an impressive finishing time of 1:15:53, followed by Ganny Lou Coloma at a distant second (1:23:51) and Ronald Salgado in third (1:24:01).The 24-year old runner, who recently graduated from the University of the East-Manila, is hailed as one of the best athletes from the campus for winning multiple UAAP Men’s titles in 800m and 1,500m athletics. He also finished 4th place in the 2011 ASEAN University Games in Thailand. In the distaff side, 20-year old Roque proved that perseverance pays off and finished at 1:58:22, way ahead of Mary Gallano (2:06:52) and Therese Dimalanta (2:07:14). Roque is a government scholar at the Bataan Peninsula State University, and like Maulas, is a varsity athlete with several 1.5K, 3K, and 5K titles under her belt. 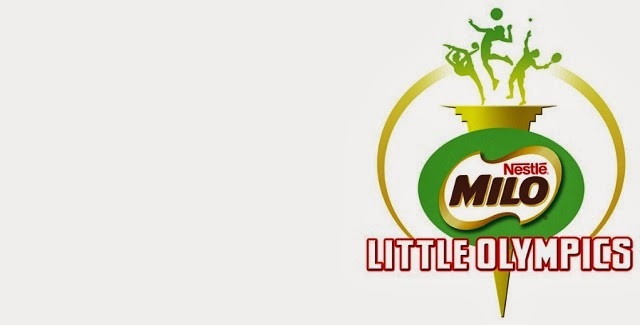 “Transitioning to a more competitive area of the sport is not an easy feat, which is why the National MILO Marathon maintains well-designed races for our country’s best college athletes. 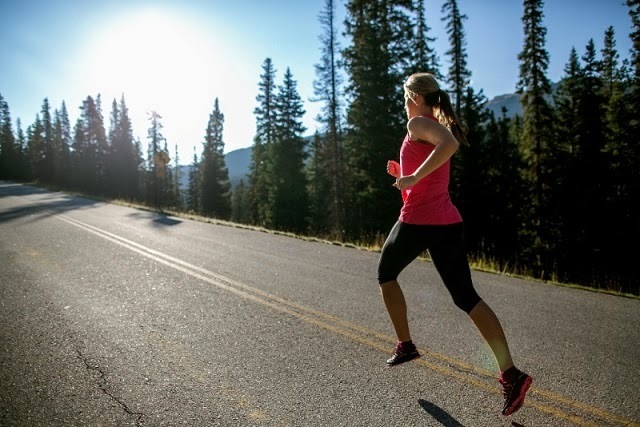 Whether it is the shortest or the longest distance in the discipline, runners are able to meet a certain level of challenge in the MILO Marathon that drives them to become better on the track. We are proud to welcome new faces in the MILO arena, and hope that they become the next wave of champions who will bring pride to our country,” said Andrew Neri, MILO Sports Executive. As part of its ongoing commitment to develop sports in the country, MILO has given a total of 33,200 shoes to public school students nationwide through MILO’s Help Give Shoes advocacy. With the invaluable support of the Department of Education and the National MILO Marathon runners, MILO delivered 500 pairs of running shoes to beneficiary schools today in Angeles City, namely Dr. Clemente Dayrit Elementary School, Arayat Central School, Pampanga National High School, Manibaug Elementary School, and San Fernando Elementary School. 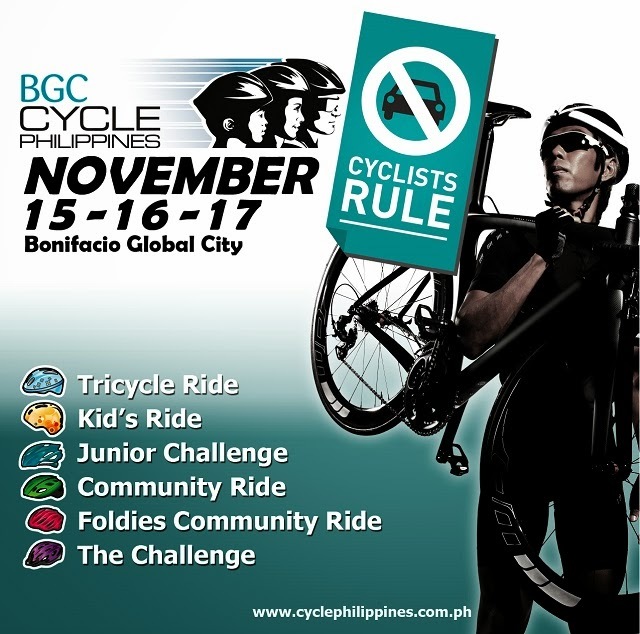 BGC Cycle Philippines hits the road on 15-17 November inside Bonifacio Global City in Taguig City, with more than 2,000 cyclists ready for three days of thrilling action and activities in the tradition of highly successful Cycle Asia events staged across the region. The event, put up by title sponsor BGC and organized by Sunrise Events, Inc., is the latest addition to the 2013 Cycle Asia calendar. Cycle Asia is the network of premier cycling events that offers riders the rare opportunity to ride in major Asian cities. "Cycling continues to enjoy strong growth in the Philippines and we are naturally thrilled to introduce the event at Bonifacio Global City," said Manny Blas II, head of Commercial Operations, Fort Bonifacio Development Corp.
To guarantee safety among participants and ensure the smooth staging of the event, organizers will keep the routes partially closed. The novel event, featuring cyclists of all ages and abilities, will have participants test their skills in The Tricycle Ride, The Kids’ Ride, The Community Ride (20km and 40km) and The Challenge (40km) capped by the “Ride with Australian Robbie McEwen.” All kids’ ride will be on 16 November while the mass participation rides will be held on 17 November. McEwen, who also serves as the Cycle Asia ambassador, is a three-time Tour de France winner in the sprint category and considered as the fastest sprinter in the world at his peak. A former Australian BMX champion, McEwen switched to road racing in 1990 at age 18 and raced as a pro from 1996 to 2012. He last rode for Orica-GreenEDGE on the UCI World Tour after competing in the 2012 Tour of California. A Cycling & Lifestyle Expo has also been lined up for this weekend’s cycling festival to keep the entire family entertained over three days. "While the unique venue will certainly offer local cyclists a fantastic riding experience, we also look forward to hosting visitors from around the region as they enjoy the unique thrill of participating in the very first BGC Cycle Philippines,” said Blas. Aside from the cycling action during BGC Cycle Philippines, Bonifacio Global City also offers a huge range of activities for tourists to take advantage of during their stay. The district is well known for its open-air lifestyle retail and dining concept and public art program, as well as a world-class science museum and parks. Owned and organized by Spectrum Worldwide, Cycle Asia has already staged two hugely successful events in 2013 – OCBC Cycle Malaysia and OCBC Cycle Singapore, which attracted over 5,000 and 11,500 participants, respectively. The Gold Coast Festival of Cycling was also held last September. “We are delighted to be expanding Cycle Asia to the Philippines and we look forward to working alongside Sunrise Events who have built an outstanding reputation for delivering first-class sporting events,” said Chris Robb, Managing Director, Spectrum Worldwide. Other backers of the event, also held for the benefit of the Firefly Brigade, are F2P, Felt Bicycles, Garmin, Gatorade, Intercare, Lexus, Manila Water, The Philippine Star, Red Garlic, Rudy Project, Seda, Walter Bread and MMDA. Sunrise Events Inc was established in 2008 after it has been granted the Ironman 70.3 license by the World Triathlon Corporation. The vision of the company is to stage world class events to put the Philippines in the sports tourism map of the world. SEI currently stages at least 12 events per year and has the exclusive rights to the Ironman 70.3, 5150, XTERRA and Ironkids events. Alquin Bolivar and Mirasol Abad, both members of the Armed Forces of the Philippines (AFP), combated strong winds and the slippery terrain to win the 21K division of the 37th National MILO Marathon Sunday in Dagupan City. Both runners are set to lead 26 other qualifiers to the finale in December, where they will compete with the country’s best runners for the championship title and for a trip to the 2014 Paris Marathon courtesy of MILO. A total of 8,043 runners joined the day’s race. 28-year old Bolivar, who hails from Cagayan de Oro, said that he took the lead at gun start, but struggled with his pace at the 12th kilometer mark because of the challenging weather. He eventually pulled away and locked a distance at the last few kilometers, crossing the finish line at 1:13:47. Behind Bolivar were national athlete Robeno Javier at 1:13:53 and Crifrankreadel Indapan at 1:16:02. In the distaff side, 28-year old Abad outlasted female competitors and crossed the finish line at 1:30:49, way ahead of Mercy Taypoc (1:32:52) and Lany Cardona (1:35:20), all while battling a mild cold. Abad, who is a member of the Philippine Duathlon Team, is considered one of the top duathletes in the country. She adds today’s victory to her collection of titles in other national races. “MILO salutes the passion and dedication that the men and women of our nation’s armed forces render to defend our countrymen. We at the National MILO Marathon are very proud to have engaged an admirable set of people who continue to lead their fellow athletes to imbibe the core values of a champion. 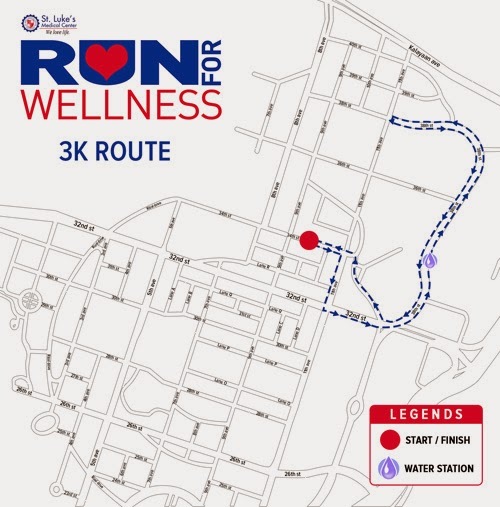 We hope to draw more local heroes to join the discipline and inspire runners to take their love for country and true athleticism to the competitive track,” said Andrew Neri, MILO Sports Executive. With the support of the Department of Education and the National MILO Marathon runners, MILO has given a total of 32,200 shoes to public school students nationwide through MILO’s Help Give Shoes advocacy. Through this ongoing commitment to develop sports in the country, MILO delivered 500 pairs of running shoes to beneficiary schools today in Dagupan City, namely East Central Integrated School, Dagupan City National High School, Bonuan Boguig National High School, North Central Elementary School, and Bued National High School. Challenged neither by the course nor the competition, reigning MILO Marathon King Eduardo Buenavista treated spectators to a thrilling comeback Sunday at the 37th National MILO Marathon in Baguio City. 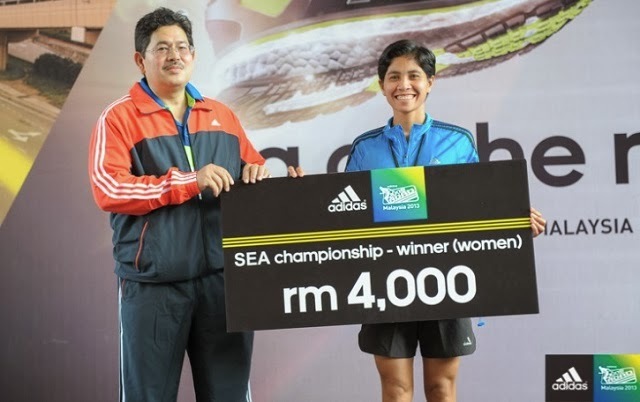 Not to be outdone, a be-medalled Cristabel Martes also proved her mettle in the 21K track and earned herself a back-to-back win in the local race. Both Buenavista and Martes have four National MILO Marathon titles under their belt and are considered to be two of the best runners in the country. Leaving no room for error, two-time Olympian Buenavista made good use of his quick reflexes to take the lead at the starting gun, and closed his finishing time at an impressive 1:12:39. With Cesar Castaneto (1:14:21) and last year’s local champion Hernanie Sore (1:19:55) trailing behind him in desperate pursuit, the 35-year old Cotabato native sustained a matchless pace and claimed his third Baguio title. As an ongoing commitment to inspire more Filipinos especially the youth to overcome all of life’s obstacles and engage in a wholesome sport like running, MILO provides pairs of running shoes to underprivileged students nationwide through MILO’s Help Give Shoes advocacy. With the invaluable support of MILO Marathon runners and partners, a total of 500 pairs were delivered to beneficiary schools today in Baguio, including Benguet High School, Bakakeng Elementary School, Manual A. Roxas Elementary School, Jose Rizal Elementary School and Josefa Carino Elementary School, bringing the total shoe count to 31,700. 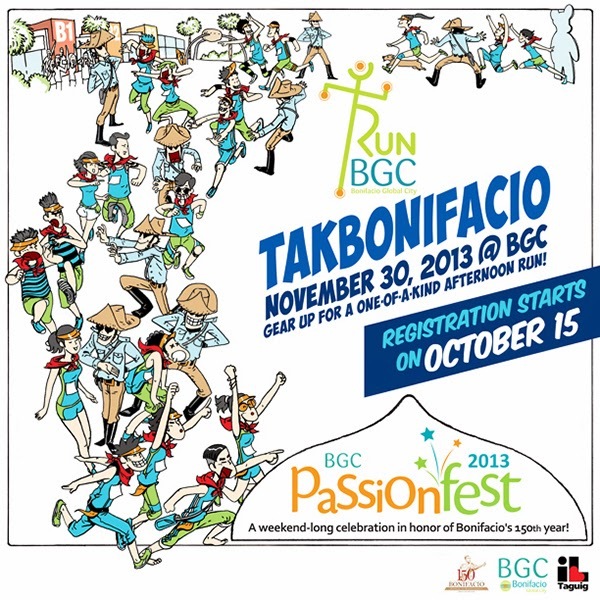 To commemorate the life of one of the country’s most passionate heroes Andres Bonifacio, the Bonifacio Global City (BGC) is holding an interesting and unique run entitled Run BGC 2013: TAKBONIFACIO slated on Bonifacio Day, November 30, 2013. An afternoon of fun run with exciting obstacles awaits friends and families alike on this 5-kilometer adventure. Participants are encouraged to wear the best Katipunero or traditional Filipiniana attire while going through the unique run. To complete the 19th century setting, Gwardiya Sibil will be scattered around the obstacle course to provide the almost true-to-life challenges to the Katipunero participants. Participants will be wearing a belt with life flags. Guwardiya Sibil will pose as threats when they attempt to get these life flags. Fun obstacles await participants as inspired by historical events which happened in key areas around Metro Manila like San Juan (Guwardiya Sibil will be armed with water soakers to attack the participants); Pinaglabanan (An army of Guwardiya Sibil will be running after life flags instead of just standing around); Bonifacio (Participants should be on the lookout for Andres Bonifacio, who will be giving away free life flags); Marikina (Participants will climb up the giant inflatable slide and enjoy the way down! Or crawl inside the tunnels while Guwardiya Sibil awaits them on the other side); and Balintawak (Participants will express themselves and write why they are proud to be a Filipino). Register for the event at any of the following establishments: Toby’s Sports in Shangri-La Mall, Mall of Asia & Glorietta; Runnr in Ayala Alabang Town Center & Bonifacio High Street; and Brooks in SM North EDSA. 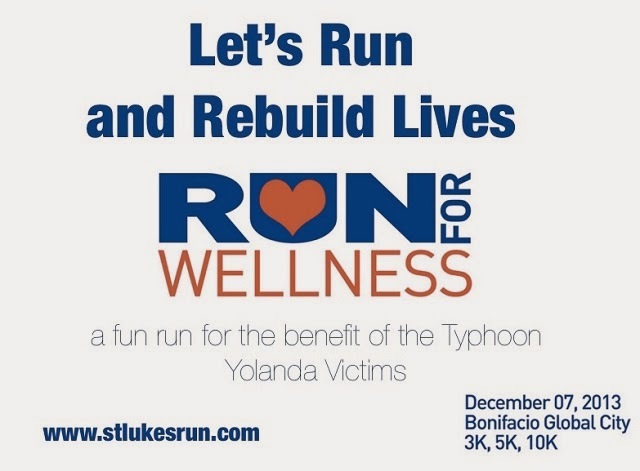 Registration Fee for participants is P500. Special rates apply to residents and workers of BGC at P350, Groups that form a battalion of at least 50 persons only have to pay P150 per head (registration and payment must be submitted at the same time), Kids who are 5 to 12 years old only have to pay P150. Participants will be given a red neckerchief and a belt with life flags prior to the race. Upon registration, participants get a race bib. They will get a TAKBONIFACIO Souvenir shirt in their loot bag filled with goodies from event sponsors. Top TAKBONIFACIO Finishers will be given cash prizes as follows: P 7,000 in cash each for the First Male and Female participants, P 5,000 in cash each for the Second Male and Female participants, and P 2,000 in cash each for the Third Male and Female participants. In the Kid Category, cash prizes are as follows: P 1,500 in cash each for the First Male and Female kid participants, P 1,000 in cash each for the Second Male and Female kid participants, and P 500 in cash each for the Third Male and Female kid participants. Special Prizes will be given away including Best Costume to be determined by originality, inventiveness, intricacy & color, and fun. Best in Costume winners get cash prizes as follows: P 5,000 for the Batallion winner, P 3,000 each for Male and Female winner, and P1,000 for the Kid winner. The Biggest Battalion will awarded a trophy. Bonifacio Global City (BGC) has been known for its unstoppable chain of new developments that cater to different passions. 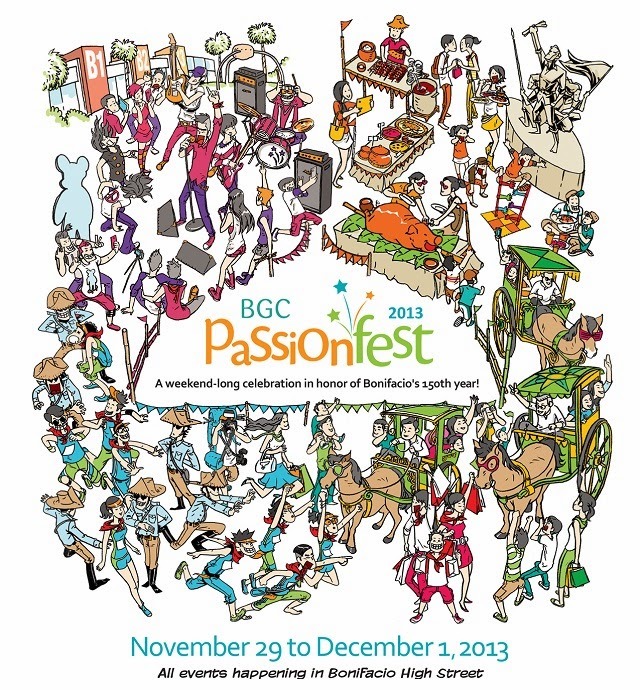 The BGC PassionFest is a three-day event tradition filled with various activities that focused on culture, art, fitness, lifestyle and most of all FUN! Kislap at Kutitap is happening in BHS Central featuring the best of the country's most prestigious performing groups to cap off the feast of passions featuring Sandosenang Sapatos by Tanghalang Pilipino at 6:00 p.m., and performances from the Philippine Madrigal Singers and Philippine Philharmonic Orchestra at 7:30 p.m. The show also includes the launch of the Symphony of Lights—the annual Christmas decorations competition for all construction groups and buildings in BGC.